The Baltimore Brigade announced today the signing of Hall of Fame defensive back Clevan Thomas. The 11-year Arena Football League veteran last played for the LA KISS in 2016. 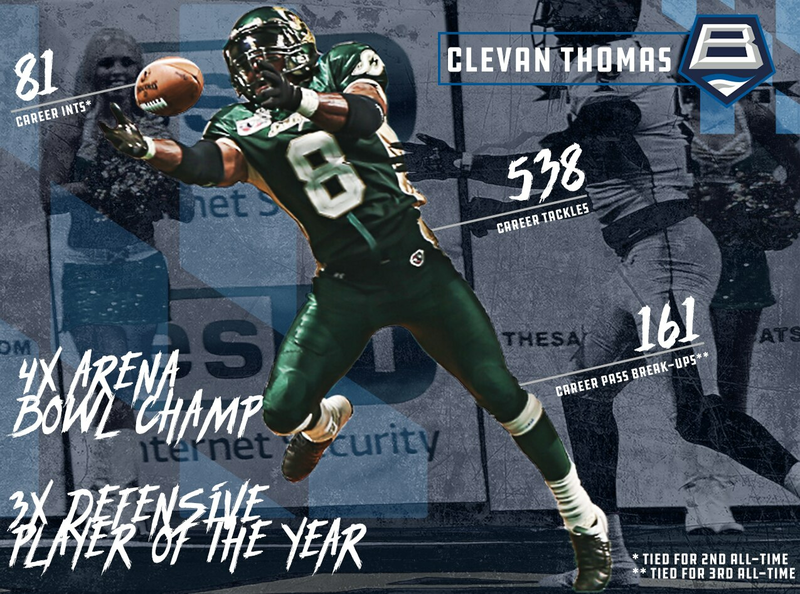 Thomas’ career accolades include four ArenaBowl titles, three Defensive Player of the Year awards, one Defensive Back of the Year award, four First Team All-Arena seasons, two Second Team All-Arena season and a Rookie of the Year Award. Thomas, a Florida State alumnus, ranks in the top 10 in a number of AFL defensive categories. He ranks second all-time in interceptions (81), third all-time in pass break-ups (161) and is tied for ninth all-time in total tackles (538).